There was a house with a child who was playing a piano, a woman listened to him then people then kings and queens. In Europe There was the times of past Renaissance and the Baroque music, songs and liturgies, intense atmospheres, areas dampened by bronchitis incurable, by envy and arrogance, and pain that turns into art, and art in pain, until the unspeakable. The Europe cries and falls in love, he kneels and applauds, when in an anonymous Austrian house, Wolfgang Amadeus Mozart leaves this world. 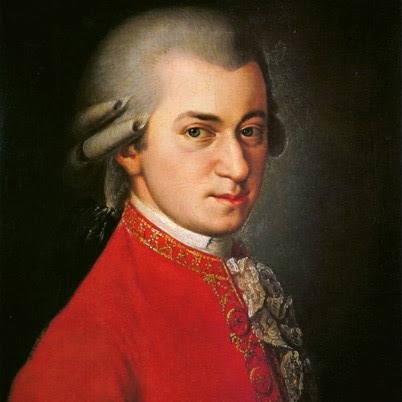 Born on January 27, 1756, in Salzburg, Austria, Wolfgang Amadeus Mozart was a musician capable of playing multiple instruments who started playing in public at the age of 6. Over the years, Mozart aligned himself with a variety of European venues and patrons, composing hundreds of works that included sonatas, symphonies, masses, concertos and operas, marked by vivid emotion and sophisticated textures. Central Europe in the mid-18th century was going through a period of transition. The remnants of the Holy Roman Empire had divided into small semi-self-governing principalities. The result was competing rivalries between these municipalities for identity and recognition. Political leadership of small city-states like Salzburg, Vienna, and Prague was in the hands of the aristocracy and their wealth would commission artists and musicians to amuse, inspire, and entertain. The music of the Renaissance and Baroque periods was transitioning toward more full-bodied compositions with complex instrumentation. The small city-state of Salzburg would be the birthplace of one of the most talented and prodigious musical composers of all time. Wolfgang Amadeus Mozart’s was the sole-surviving son of Leopold and Maria Pertl Mozart. Leopold was a successful composer, violinist, and assistant concert master at the Salzburg court. Wolfgang’s mother, Anna Maria Pertl, was born to a middle class family of local community leaders. His only sister was Maria Anna (knick-named “Nannerl”). With their father’s encouragement and guidance, they both were introduced to music at an early age. Leopold started Nannerl on keyboard when she was seven, as three-year old Wolfgang looked on. Mimicking her playing, Wolfgang quickly began to show a strong understanding of chords, tonality, and tempo. Soon, he too was being tutored by his father. Leopold was a devoted and task-oriented teacher to both his children. He made the lessons fun, but also insisted on a strong work ethic and perfection. Fortunately, both children excelled well in these areas. Recognizing their special talents, Leopold devoted much of his time to their education in music as well as other subjects. Wolfgang soon showed signs of excelling beyond his father’s teachings with an early composition at age five and demonstrating outstanding ability on the clavinet and the violin. In 1762, Wolfgang’s father took Nannerl, now age eleven, and Wolfgang, age six to the court of Bavaria in Munich in what was to become the first of several European "tours." The siblings traveled to the courts of Paris, London, The Hague, and Zurich performing as child prodigies. Wolfgang met a number of accomplished musicians and became familiar with their works. Particularity important was his meeting with Johann Christian Bach (Johann Sebastian Bach's youngest son) in London who had a strong influence on Wolfgang. The trips were long and often arduous, traveling in primitive conditions and waiting for invitations and reimbursements from the nobility. The strategies of War and those of Peace.